Do you feel like your business is a hot mess behind the scene? Do you want to streamline your business so you can grow more and have more focus? How about working less and enjoying your life more while enjoying great results at the same time? Tune in as our guest for today share's how her business came about and how she managed to accomplish a lot by just working 25 hours or less a week. 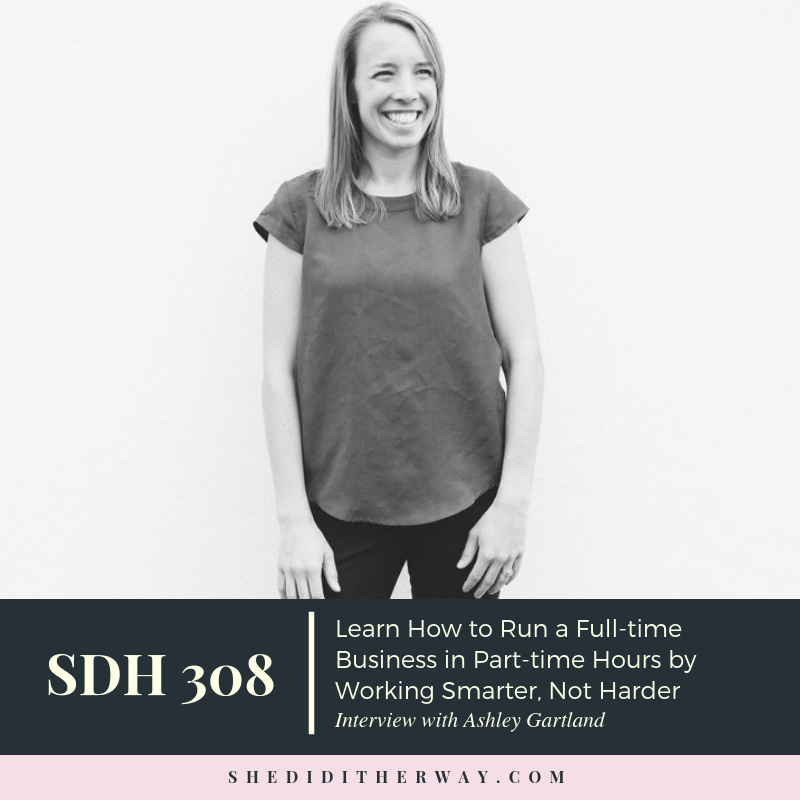 Our guest, Ashley Gartland works with women entrepreneurs whose business is doing well but who feel like a hot mess behind the scenes - and they know it's holding them back from reaching the next level. She helps them simplify their business and build a stronger foundation so they can experience more growth and fulfillment in their work and more freedom in their life. Ashley has been an entrepreneur since the age of 22 when she got her start as a freelance food writer. After working in editing, event planning, public relations, and digital publishing, Ashley launched her coaching practice to help overwhelmed entrepreneurs grow their business by doing less better. Ashley's work has been featured in O, The Oprah Magazine, The Huffington Post and Being Boss and she's appeared on The Startup Sessions, Courage & Clarity, and the Creative Empire podcasts. She lives for rainy days, is an avid runner (and wannabe yogi) and prefers kombucha over coffee to fuel her day. Hear about the "Power of the Pause"
"Really have firm boundaries and learn when to say no." "When you only have 25 hours a week or 10 hours a week to work on your business, you have to be very clear on what things you're spending your time on and what request of your time to say no." "Figure out to delegate in a way that doesn't require a huge commitment but still will pull a lot of results."